Former Manchester United striker Dwight Yorke has launched a scathing attack on the club’s manager Jose Mourinho, after claiming Pep Guardiola would have won the title if he was in charge of United this season. 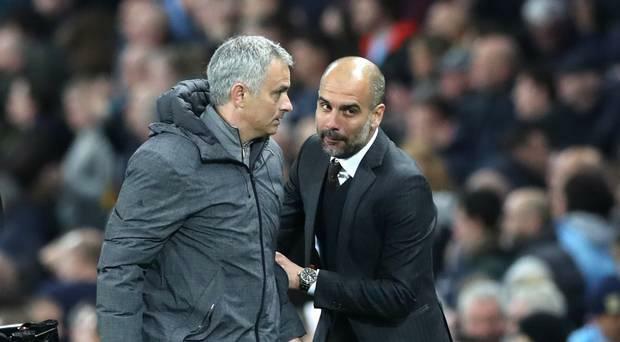 Yorke’s passionate comments to a Dubai radio station are likely to rile Mourinho, who has hit out at any critic who has questioned his philosophy in a season when Guardiola’s Manchester City have raced away with the Premier League title. Yorke – who was a key part of United’s treble-winning team of 1999 – suggested Mourinho approach to the game did not befit the club’s traditions, in comments that will reignite the debate over the way he plays the game. When asked whether he felt Guardiola would have won the title if he was managing the current United squad this season, he offered this response: "I think they would definitely win the league because they are on the front foot, playing attacking football. "Any manager who has got the riches of players they have playing on the front foot will win more games than they lose. It’s not rocket science. "Look at the other side and the blue half of Manchester. Don’t tell me those players are far superior than the players we have. "You look at Anthony Martial, (Marcus) Rashford, (Jesse) Lingard, you look at (Alexis) Sanchez, (Romelu) Lukaku. We have got a very, very strong attacking line-up. "The difference is they have a manager who thinks positive and wants to play attacking football. On the red side, we have a manager who wants to win 1-0 and play defensive. That is simply the difference. "If you are on the front foot playing attacking football and you want to score goals, that is what people want to pay money to watch. "I remember when we were playing Liverpool away from home and we recorded one shot in the whole match. That’s not Man United. You want people go out and express themselves. "You are hoping one of your big talents produces a magic moment that will go out and win you the game. United are waiting for that one moment and secure a 1-0 advantage. That is not the way we play. It’s a load of crap, in my opinion."